Roland Joffe's City of Joy was my first major role in an international project. Based on Dominique Lapierre's eponymous award-winning novel, this was my big break in Hollywood. I essayed the role of Hasari Pal, the rickshaw-puller, one of the two lead characters. The film was shot over three months in Calcutta and a few scenes were done in London's Pinewood Studio. Roland Joffe as a director was very strict and stubborn but he is an exceptionally focused person. He knows exactly what he wants and refuses to budge. Despite his recalcitrance, he is disciplined and working with him was my first exposure to working on a truly large international canvas. I was in awe of Patrick Swayze and a bit nervous when I first learnt he would be my co-actor. This was to be my first interaction with a big Hollywood star. But Patrick Swayze turned out to be a big surprise. Fresh from his stardom, Patrick was the epitome of humility and friendliness. He as a practicing Buddhist and believed in some Eastern philosophies. According to him, I reminded him of his father. 'You intimidate me,' he had said on first meeting me. I never asked him why. Though we rarely met, we shared a deep love and respect for each other. When I got the news of his demise I was devastated but not shocked as I knew it was coming. So many images of Patrick and me from his first day in Calcutta to our trips in Japan and Australia flashed by. I felt sad because I lost him too early -- at 57 rather than the other way around, at 75. He was gentle and kind and a fabulous dancer. I will miss him dearly. I always prepare for the role I play in each film, but City of Joy was special. I started preparing well in advance. I started learning to pull a rickshaw from two regular rickshaw-pullers. We would start out early in the morning and return to the hotel before the traffic started. After a few days, I realised that most of the rickshaw-pullers ran barefoot. The first few days were tough but slowly, I managed. There are a number of memorable anecdotes connected with the shooting. Once I stopped at a roadside tea-stall to have a cup of tea. It was early morning and two elderly customers were drinking tea there. 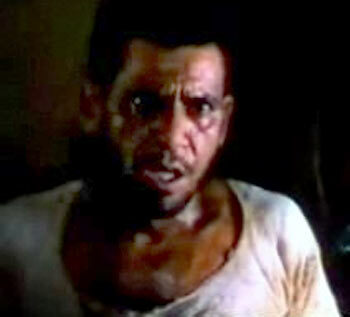 On seeing me, one of them remarked to the other, 'Arrey, doesn't this rickshaw fellow remind you of Om Puri?' To which the other nodded. 'Such similar features!' He exclaimed. When I finished my tea, I told them that I was indeed Om Puri. They looked at me, not quite believing me or their eyes. Later as I was leaving, I heard the tea-stall owner exclaiming, 'Bechara. Poor man. How sad to see him reduced to this state. He used to be such a fine actor. And imagine him pulling a rickshaw now? Must have fallen on real hard days'. I could not help smiling to myself. My hard work had paid off. I had a lot of hopes and aspirations pinned to this film and I gave my very best. Unfortunately, the film did not do well, though my performance was noticed. The New York Times reviewer wrote, 'Puri's performance will make you cry'. Patrick Swayze had also remarked at a press conference in Australia that 'if anyone deserves an Oscar this year, it is Om'. Though I have never really performed for awards, it was this once that I expected at least an Oscar nomination. For once I dreamt of having a parallel career in films outside India but it was not to be. However, I did get noticed reasonably well in the US post City of Joy. Excerpted from Unlikely Hero -- Om Puri by Nandita C Puri, Lotus Collection Roli Books, with the publisher's permission, Rs 395. Buy the book here. Directed by Richard Attenborough, Gandhi was a very prestigious project for me. I was lucky to work with Sir Ben Kingsley in my short appearance in the film. A trained and versatile actor, he excels in every role and was brilliant as the Mahatma in the film. The proudest moment for me was when that single scene I had done with him was shown at the Oscars. Mandi by Shyam Benegal was a great experience as well had a long stint outdoors and stayed in the charming city of Hyderabad. It also had the starts of art cinema and we felt like one big family. In fact, Shyam babu always treated his unit like a family. He loved playing the benevolent patriarch. The high point would be sharing a peg or two with Shyam babu every evening and having sensible conversations. 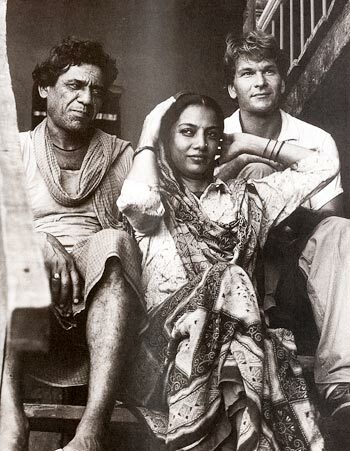 In Mandi, I worked with Shabana Azmi for the first time, after which we did many films together where she played opposite me. Shabana is a great actress, extremely professional and meticulous. She can sometimes go to the extent of participating in the script if her character is not well-rounded but she is also quite protective of newcomers and younger co-stars. Manikda, as we called him, was every bit the Renaissance man. He involved himself in every aspect of filmmaking from scripting to designing the sets and costumes to composing the music, storyboards to deciding the camera works -- everything. He was very organised and meticulous about every last detail. I remember on the first day of shoot I was extremely nervous. Manikda explained the scene to me. I was to walk into the Brahmin's house gingerly. I felt awkward as I did not know the meaning of 'gingerly'. With great effort, I asked him. He smiled and explained that 'when a dog or a goat enters an unknown house, he enters gingerly'. He not only explained it, he also gave me the body language to relate it with. The hallmark of any great director is his openness to ideas which Manikda had. Once during Sadgati, I suggested that Mohan Agashe who plays a Brahmin, would not touch my dead body directly as I belonged to a lower caste and was it okay if he used a rope to pull my corpse. Manikda thought over it and immediately agreed. This was the great Ray, who was known for not changing a line in his script. It was in one of Kundan Shah's best films, Jaane Bhi Do Yaaro, which also went on to become a cult film. Kundan is a bit of a scatterbrain and looks a little lost on the sets. He exudes a kind of nervous energy. But the nice thing about him is that he trusts the actors and lets them improvise. He does not go strictly by the rule books. 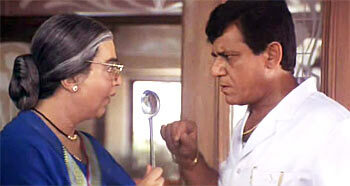 The film was made on an extremely low budget, so low that the food came from Kundan's house! His wife cooked with the help to two bais (maids) and I remember there would be dhudhi (gourd) curry and alu sabzi (potatoes) almost everyday. He rarely wanted to break for lunch as time is money, and if he did, he would pick up the plate while the last shot was being taken and after announcing 'Action', he would start filling up his plate. By the time he said 'Cut', he would start eating. While the shot was being canned he would urge others, 'Hurry up. Eat fast', as he had already eaten and was ready to shoot. Since they could not afford a hotel and the shoot was in Alibaug, actors would take turns sleeping on the verandah of the shooting bungalow, literally on the floor. 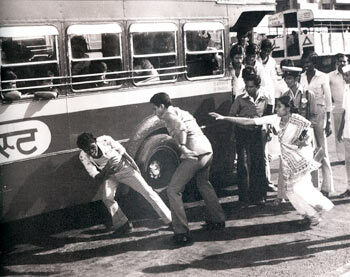 The crew members were not so lucky as they had to shoot virtually without a break, day and night. Once the DOP (director of photography) Vinod Pradhan, was found sleeping in an upright position with his eye on the camera! We realised it when no sound came from the camera after the director announced, 'Roll Camera'. It was the poorest film unit I worked with but it was loads of fun. And that goes on to prove that simply having great sets and locations, with a lot of glitter does not necessarily made an everlasting film. 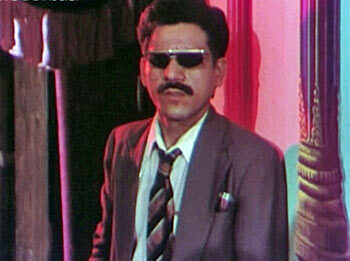 Sparsh was perhaps the earliest and most sensitive of feature films delving into the lives and psyche of the blind. It was directed by Sai Paranjpe, an extremely liberated woman in the true sense of the term. She is one of India's first woman directors to make her mark in Indian cinema and working with her was an honour. My role was that of a blind teacher. As an actor, I was eager about playing a blind person and went about preparing for the challenging role. Since we were shooting in a blind school in Delhi, I began to follow the blind teachers and students a few days before the shooting. The irony in their words touched me. The boys also enjoyed playing cricket. It was an enlightening experience. The cricket bats were a little broader than normal bats. The ball had a wire with some steel circular discs attached to it, so that every time a bowler bowled, the batsman could follow the sound of the ball and hit accordingly. 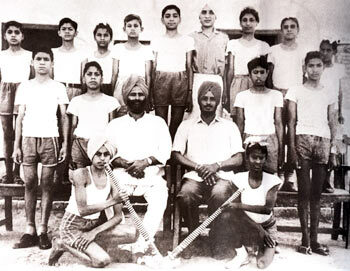 Those days in the blind school before and during the shoot made me realise how innovative these boys could be. It made me question so many of my inherent prejudices about blind and disabled people and I emerged much the wiser from the making of that film. Based on Bhisham Sahni's novel on the Partition, Tamas is one of my memorable films with Govind Nihalani. Govind wanted this to be his first film but was not to be. It is four and a half hours long and was aired on television in four instalments. Unfortunately, due to its length Tamas never got a theatre release but it was screened at the Montreal Film Festival with two intervals. Govind is my Alkazi in Bollywood. 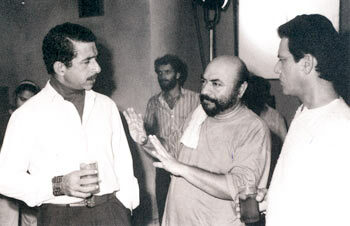 Just like Ebrahim Alkazi was my mentor in theatre, Govind is my mentor in films. He is an actor's director. I have given my life's best performance with him. Govind gets so involved in his work that at times during filming he forgets to call for lunch break if he is not hungry. But he is a very greedy director and squeezes every last drop from an actor. Just like those sugarcane juice machines. I jokingly tell him that he is always hungry and 'bahut footage khata hai (eats a lot of footage). He literally consumes raw stock like a maniac. After editing a Govind Nihalani film, one can actually make another film with the discarded raw stock! Although I do not always agree with him, Govind and I share a brotherly relationship. We both went to Czehoslovakia for the Karlovy Vary festival, which was the first trip abroad for both of us. It was a strange experience as there was sunlight till way past ten in the night and the food was very bland. Soon after, I sent him a letter after watching Nayakan. Years later, when I was working with him in Chachi 420, I asked him whether he had received the letter at all. Kamal nodded. 'Then why did you not reply?' I asked him. 'I was too embarrassed,' Kamal said. For years I had been looking for an opportunity to work with him. So, when he sent me the Tamil script of Chachi 420, I was not as excited about the role as about the prospect of working with Kamal Hasan. And after that film my friendship with him blossomed. 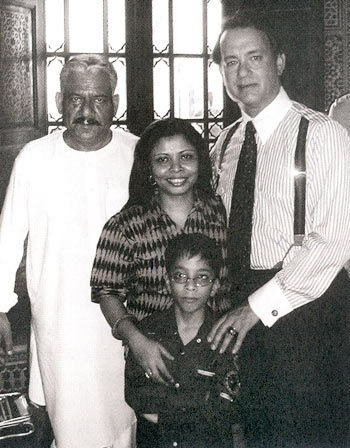 Kamal is a disciplined actor and like Robert de Niro, prepares conscientiously for his roles -- even gaining or losing weight as the role demands. He thinks ahead of his time and is an unconventional filmmaker. He is a gambler and is willing to stake everything for his creativity. As a producer he is very generous and as a director, very patient with his actors and also extremely cool.